Welcome to our mid month inspirational post where each month one of the team share a few of their favourite stamps with us and today it's my pleasure to introduce Pinky, so I will hand you over to her and let her tell you about her choices. "I have loads of stamps tucked away in my craft room which for some reason I rarely use which is why I love being on this team. Once I know the theme I have a good plunder and its amazing the stamps I find which I had completely forgotten. My next selection are old and new. 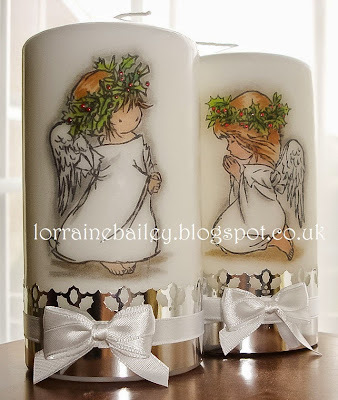 The angel stamp was one of my very first stamps ever purchased. It was £4.50 and when I got it home I said 'how on earth do you colour this' lol. 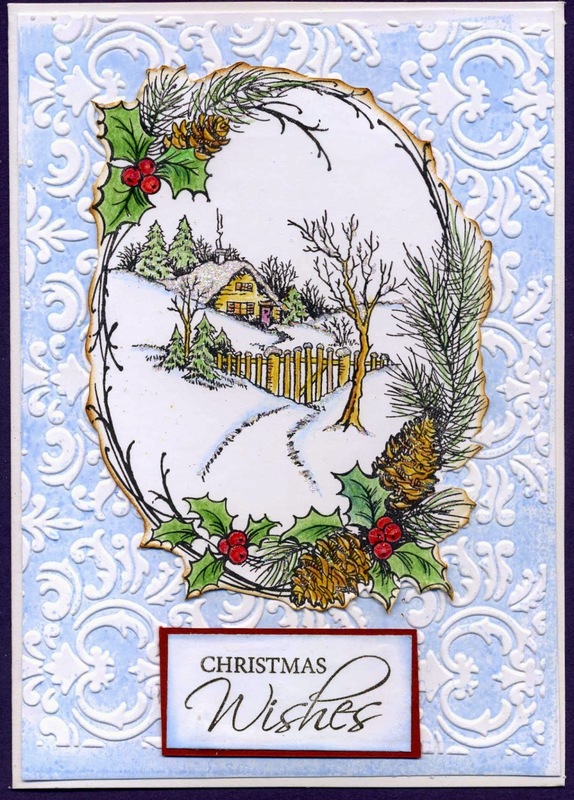 I have used it every year since I got it as it makes a lovely religious card. It has been coloured with chameleon pens and some chalks. The next stamp is one from Our Daily Bread. I adore their stamps. The DT ladies are so creative! This one is called Christmas Tree Collage. I coloured it with chameleon pens again. These pens are so great for getting a nice gradient to your shading. 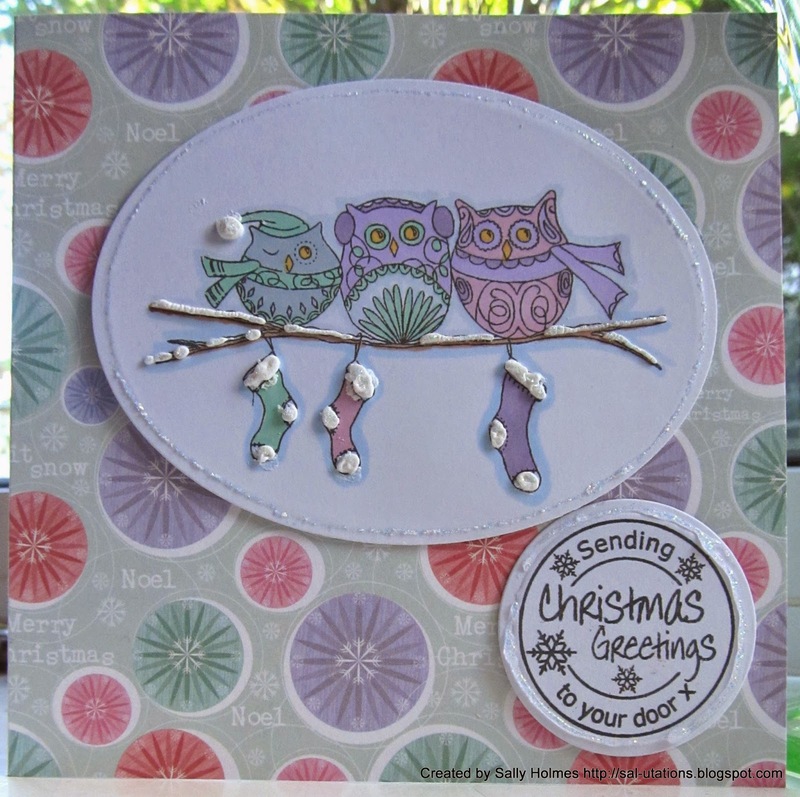 The background was stamped with a freebie stamp from a magazine! Well that's my little take on some of my favourite stamps. Hope you like them". Thank you Pinky, I hope everyone enjoys reading this as much as I did. Our rules are simple, you can enter up to three times with different pieces of work, combine with other challenges, all we ask is that we see stamping as the focal element of your work.....after all we are called Stamping Sensations. We are pleased to welcome back a regular sponsor Little Claire again this month who are offering the lucky winner a £35 voucher to spend in their store, how fabulous is that. Little Claire is a team of 3 consisting of Gill (Little Claire) Steve & Carol (long suffering member of staff/friend/all round good egg – but not a beautiful as Gill!). 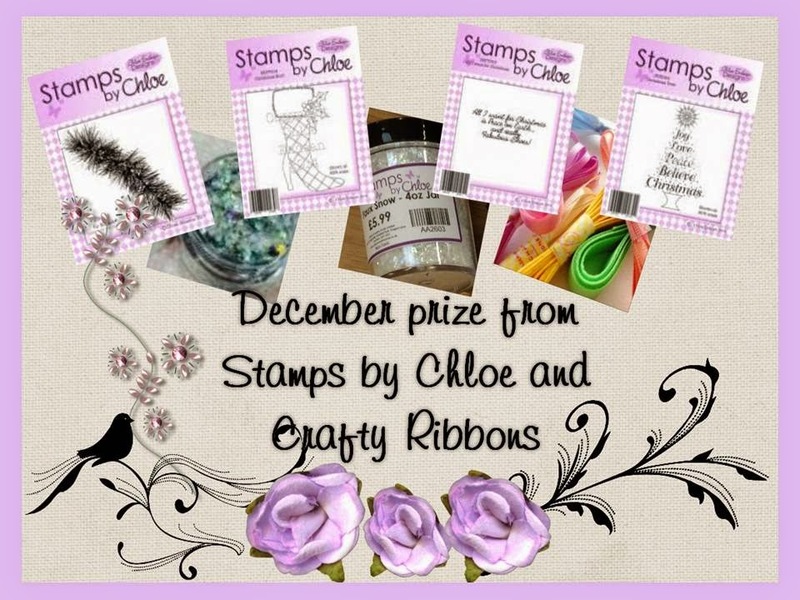 Necessity is the mother of invention’ this is the saying that sums up the creation of Little Claire Designs – we love stamps and what better way to satisfy the stamping ‘urge’ than to create our own designs exactly as we want them! 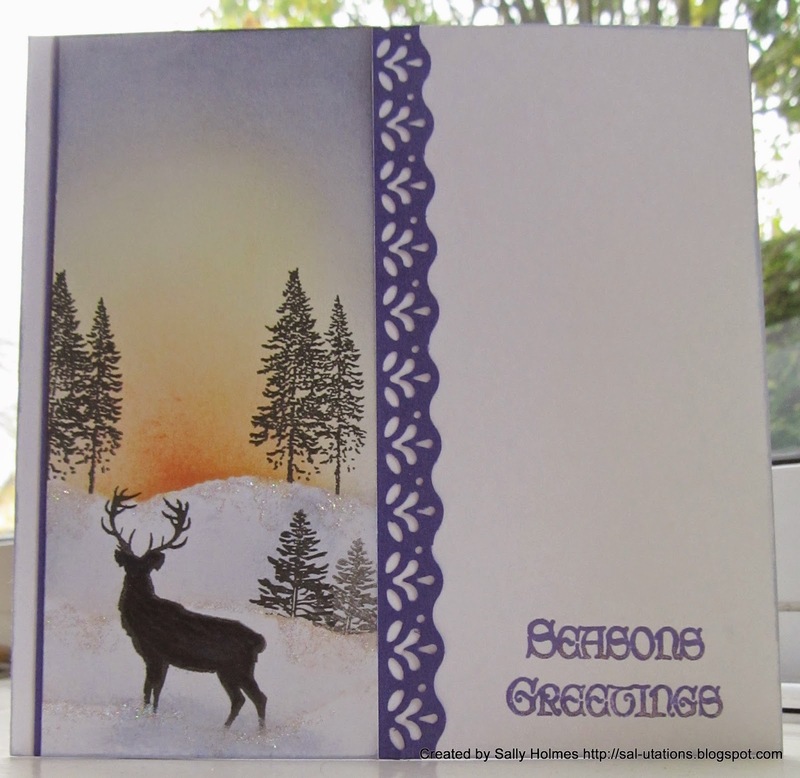 Our August challenge winner Debby is our Guest Designer this month and has created this lovely Christmas card to share with us all, I think it has a rather Nordic feel to it. 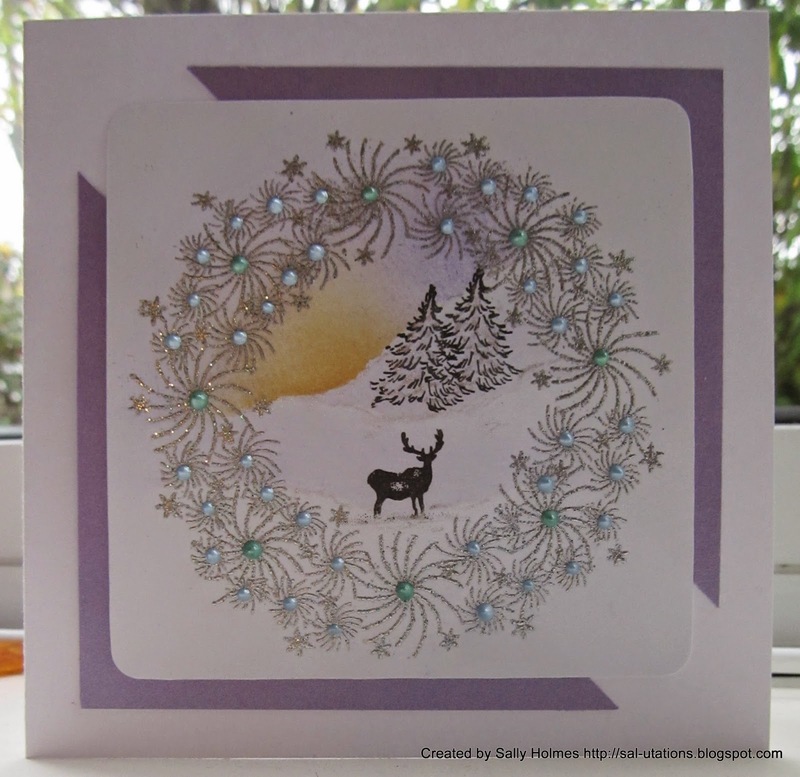 And here is the inspiration from the Design Team who never fail to please with their stunning creations, it would be lovely if you would find a moment to pop along to their individual blogs and show them some love. Good luck to you all, myself and the DT will be popping along to visit all your Christmas entries. Congratulations Valerie, please mail me with your full name and postal addy so I can arrange for you to choose your prize goodies. And don't forget to collect our winners badge. 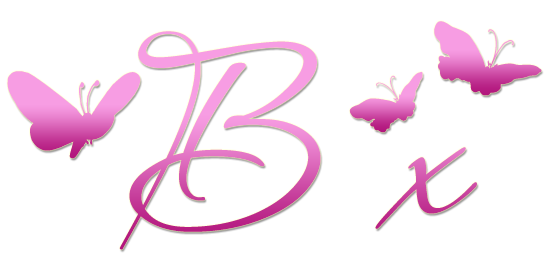 Well deserved recognition all of you, please go grab our Top 3 badge to display on your own blogs. I will be back Sunday with our new challenge and another fabulous prize. 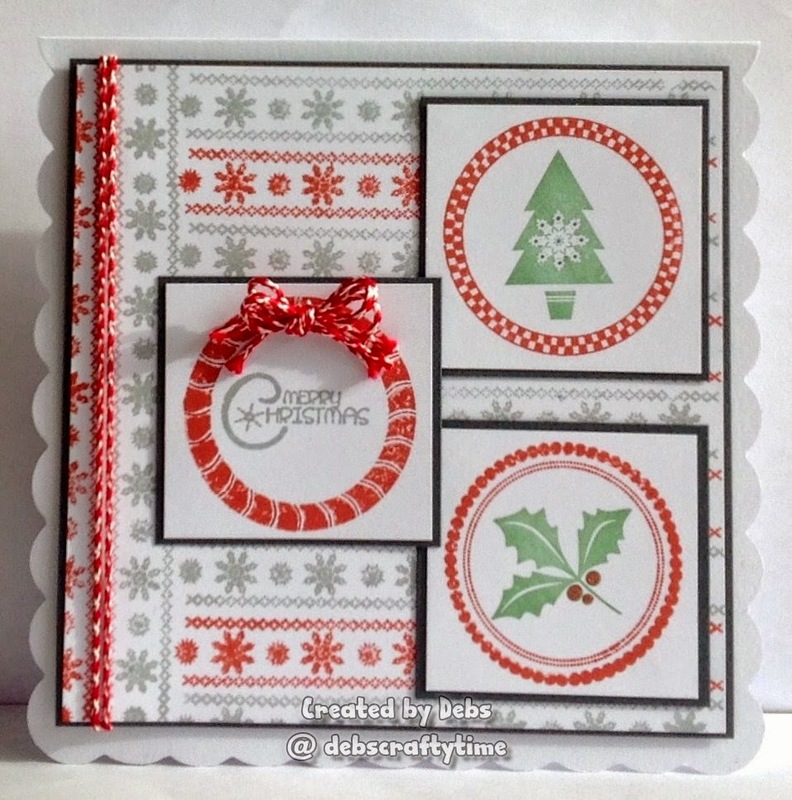 I use a lot of different stamps to make up designs, often mixing and matching from different sets and using 20+ on a project, so it is exceptionally difficult to choose just five of my favourites. 1. Ant - My favourite stamps tend to fall into categories, and those I find myself reaching for most often are nature-themed. 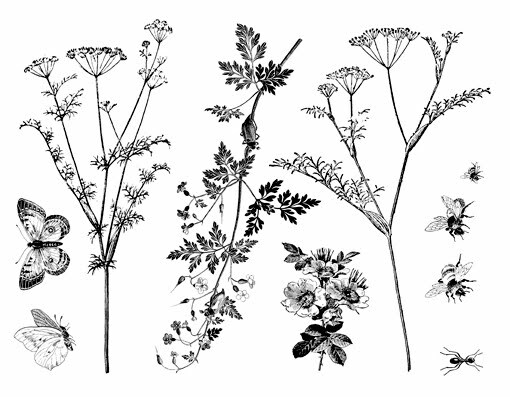 my absolute favourite set is the acrylic "Hedgerow" set by a European company called Artemio and it was one of the first stamp sets I ever bought. There are meadow stamps that can be combined to make some fabulous grasslands, and some lovely insects, but my favourite stamp in the set is the tiny ant which can be used to make ant colonies snake across the page! 2. Bird on a branch - Another of my favourite nature-themed stamps is from a set by one of our fabulous sponsors, Crafty Individuals, called "CI-234". I just love that leafy branch with the two birds on the right and use it constantly in all sorts of ways, isolating parts around the edge of a piece to make a "frame" for example. 3. Tim Holtz bird - I could pick a hundred Tim Holtz stamps and declare them all to be in my top 5, but I am limiting myself to just one, the bird from this Stampers Anonymous set "Bird Song". 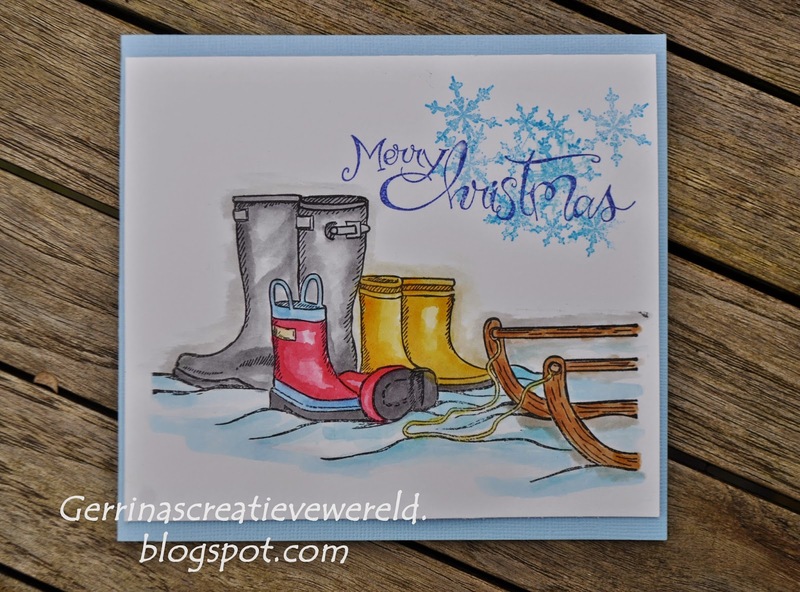 It's the stamp I used in my Design Team card this month and is so detailed that it looks fabulous overpainted in watercolours or thin acrylics, or just stamped in archival over an inked background. The deep rubber gives wonderful detail to all these stamps. The very first stamps I ever bought were three tiny fish by Kars. The set was the princely sum of £1, and I have used it time and again in my dimensional cards. Sadly, I don't think it's in production any more, but I have used it on my card below. 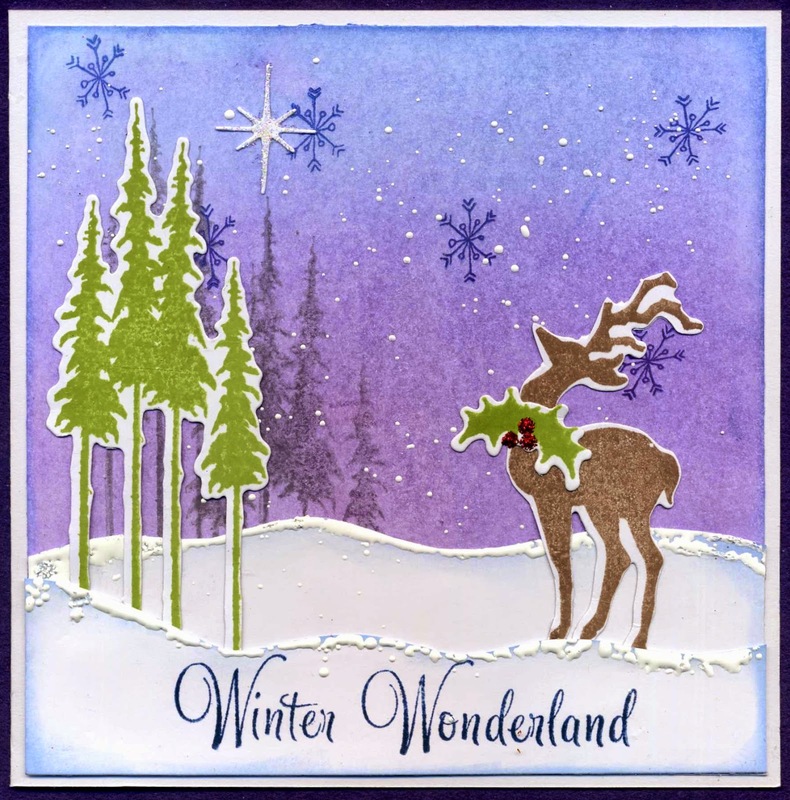 There are so many other stamps that deserve a mention, from IndigoBlu's beautiful flower borders, to Justrite's amazing sentiments, and Sizzix innovative stamp and diecut framelits sets, but my last choice would be any intricate snowflake stamp that I could use to create resist backgrounds for my Christmas cards. Thank you for sharing with us Maddy, please do remember to pop over to her blog and check how she created the piece of artwork at the top of this post.